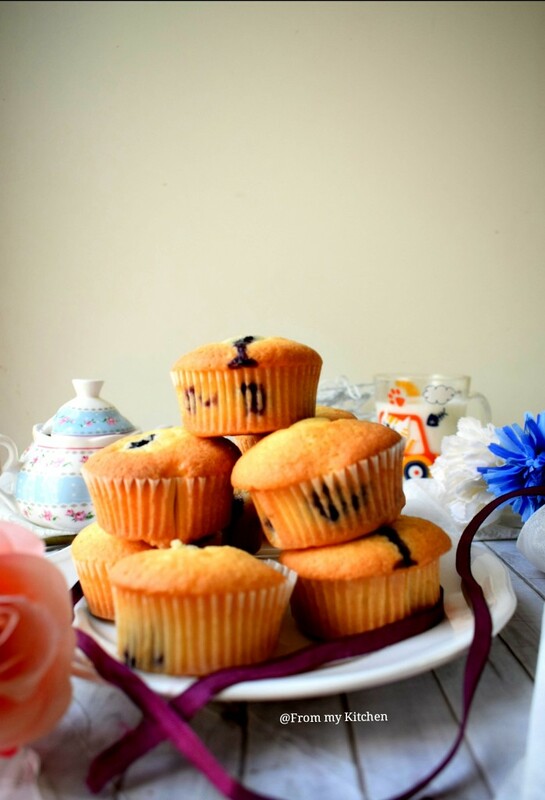 This is the easiest delectable and fluffiest cupcakes that I’ve ever made! Seriously, it’s so moist and delicious that it’s hard to stop at one. 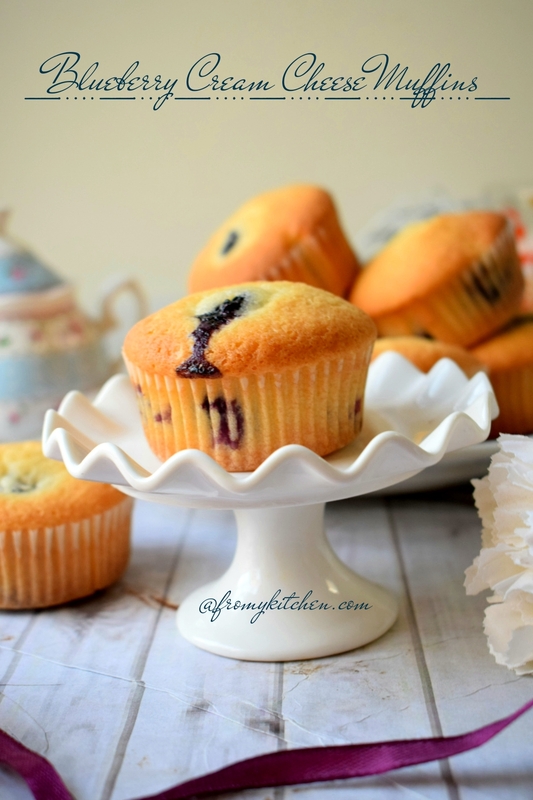 The addition of cream cheese and buttermilk makes it so soft and fluffy. How beautiful does that look with that gorgeous berries in it isn’t it? 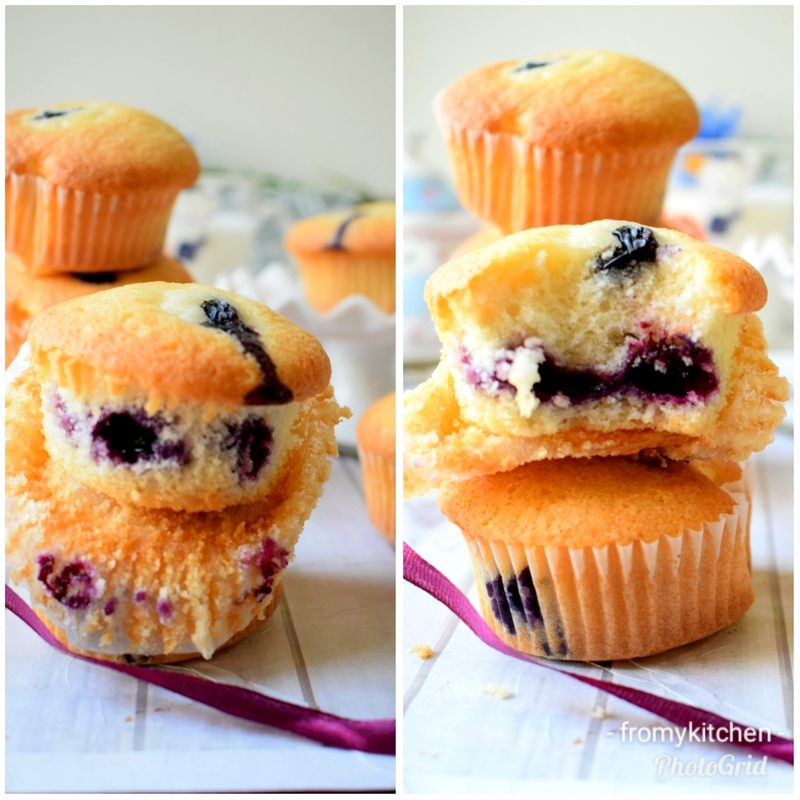 When we bite that blueberry while having these sweet cupcakes i must say it’s out of the world delicious! 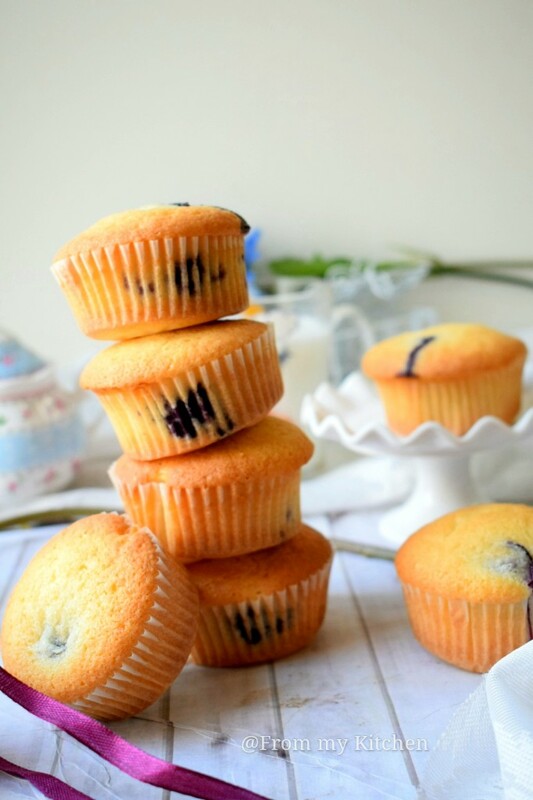 You can use any berry instead or can just skip it, but make sure that you try this recipe because it’s that easy and delish. Here all you wanna do is just dump everything in a blender and blitz….and wala your batter is ready. My kids loved it!I made few of them plain so that my picky eater Akif too can enjoy it to the core. Kashif said next time he wants the same one in chocolate version so I’m gonna give it a try! 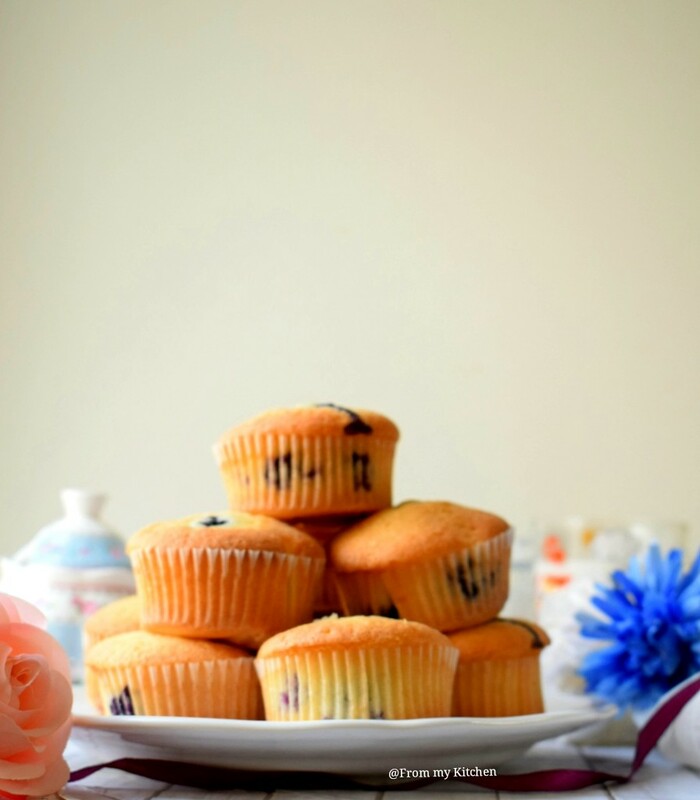 Some mommies used to store cupcakes and cookies for their kids, but I beg you to stop that when we have such an easy-peasy and delicious recipes! 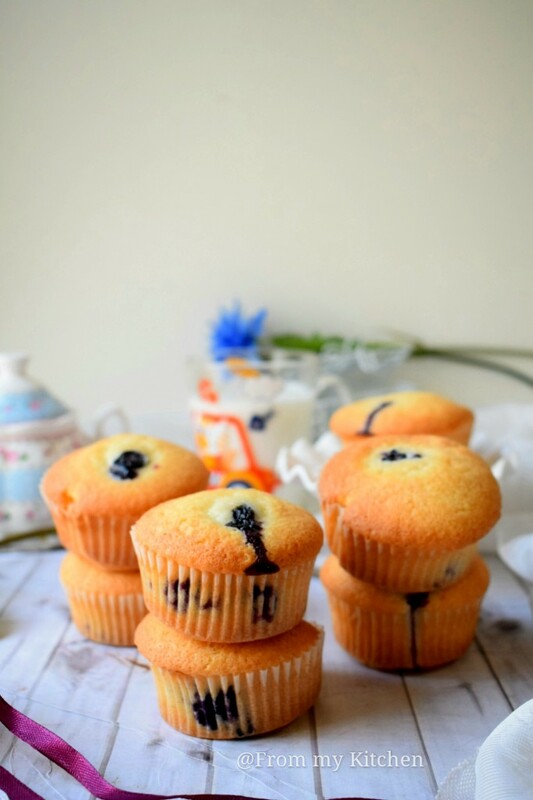 Softy, fluffy filled with natural blueberry jam!Yumm! In a blender add oil sugar and egg blend it until combined. Then add flour and baking powder and just blitz it until combined. Then add buttermilk and blend. Don’t over mix it. 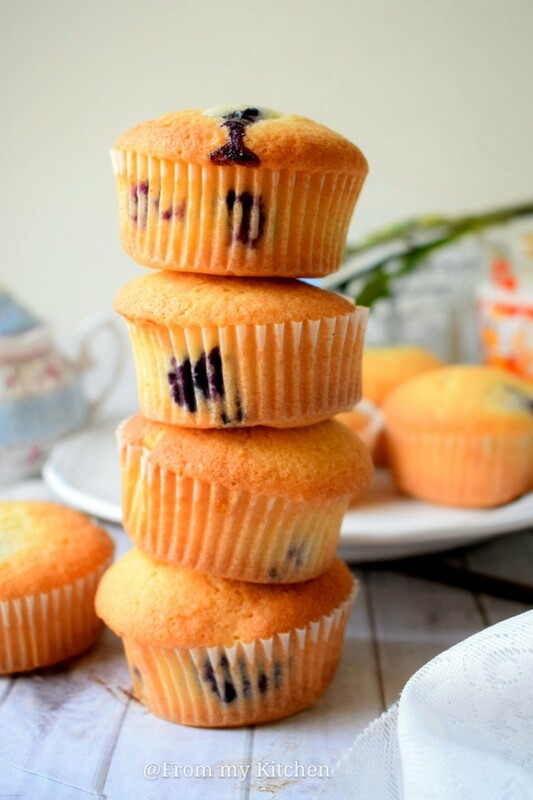 Then fold in the berries and pour it in the lined cupcake mold. Bake it for 15 to 20 minutes. Have it when it’s slightly warm! 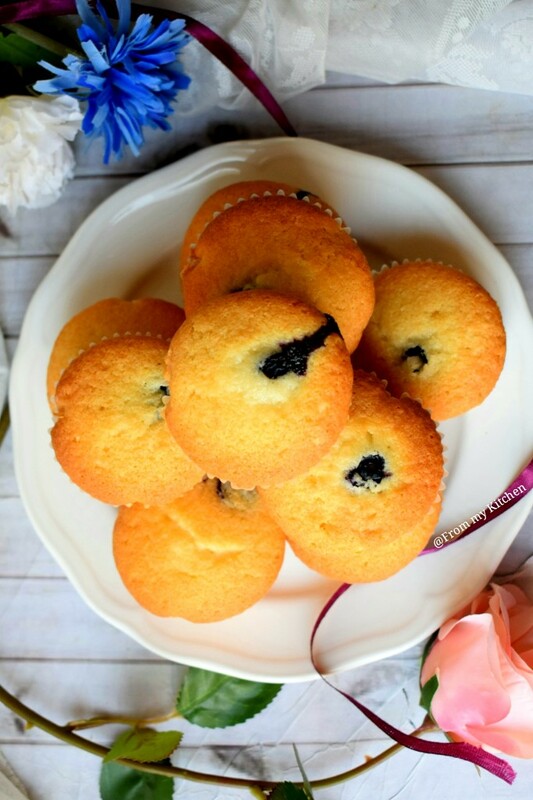 If you like a fruity, juicy flavor in your cakes then this is a must try!